Be careful, the neighborhood is full of zombies trying to eat your brains! This is a Zombie apocalypse theme with Claire and Max. Claire is stuck in a house surrounded by brain hungry zombies and Max must save her from the walking dead. The Zombie Rush Game is a 5 Reel, 20 Payline non-progressive 3D video slot with Wild symbols, Free Spins and Bonus game. The symbols include Zombies, Max, Claire, House, Radioactive Waste, Brains, Weapons, Pumpkins & Street Signs. 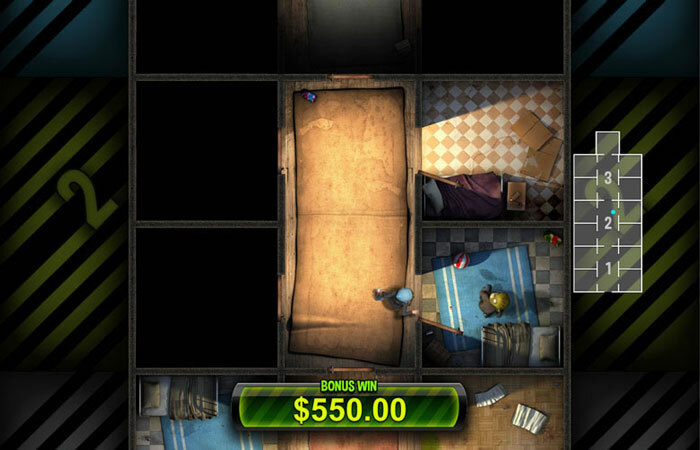 Zombie Rush’s betting range is from 0.20 up to 200.00. All lines must be bet, coin sizes range from 0.01 up to 10.00. The Wild Symbol is the Nuclear Barrel, it appears on all reels and substitutes for other symbols except the Free spins and Bonus symbols. There is also the Nuclear Zombie Wilds (Zombies and Radioactive Waste Barrel), land the Nuclear Barrel above a regular Zombie symbol then the liquid from the Barrel will spill on the Zombie head below transforming it into a Wild. Zombie Rush offers Free Spins. If you land 3 Free Spins symbols on Reels 1, 3 and 5 to receive 10 free spins. 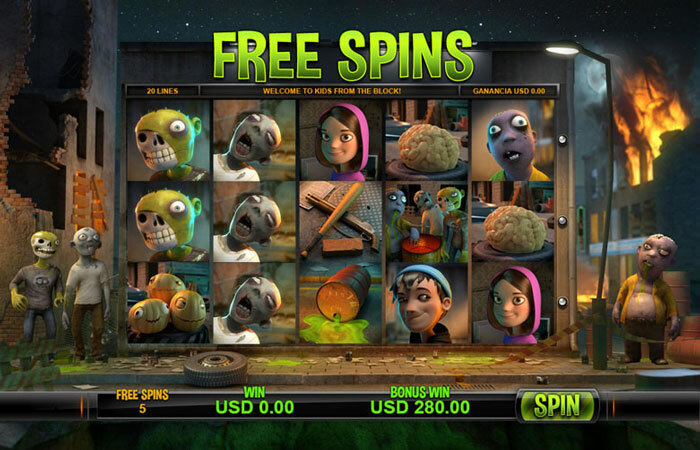 During the free spins round, all Zombie symbols will appear Stacked on the reels. There is also a Re-Spin whenever there is a winning line with 2, 3 or 4 of the same symbol. The Finding Claire – Pick Me Bonus is triggered with 3 Bonus Symbols appearing on Reels 2, 3 and 4. Doors will appear; the aim is to open the doors to find where Claire is hiding. Each Key awards a prize and the round continues. Find a hidden Zombie and the round ends. The biggest award is for finding Claire at which point the round also ends. 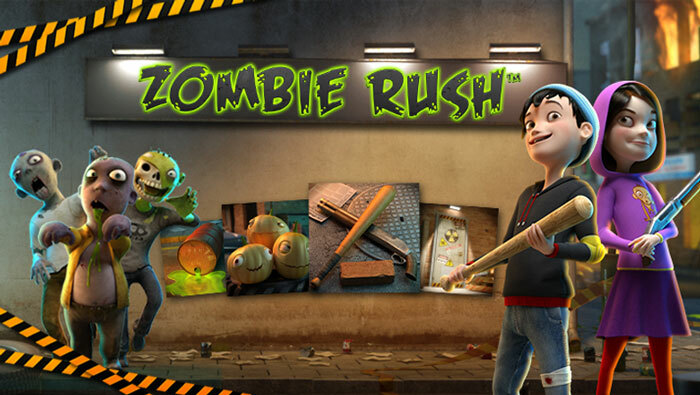 Zombie Rush is also available for play on mobile devices with the same high quality graphics and exciting gameplay.